It’s no wonder that Bali is one of the world’s most popular spots for honeymooners. With stunning scenery, plush accommodation, pampering spas, and some of the best food and drink in the world, Bali makes a wonderful destination for a couple’s holiday, whether you’ve just tied the knot or you’re celebrating a whole lifetime together. What could be more romantic than rowing a boat across a lake with your sweetheart? 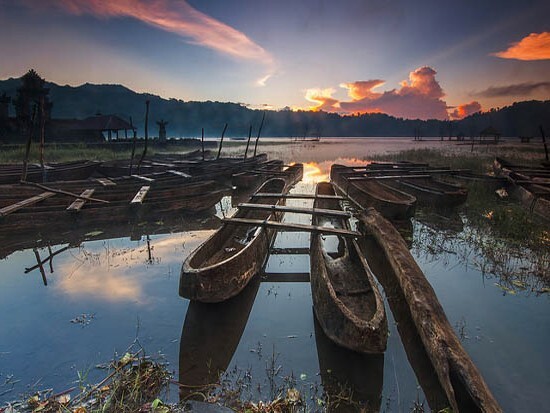 Tamblingan Lake with its primal forest and temple backdrop is one of the most picturesque spots in Bali and is a popular location for photoshoots. You can enjoy trekking through the forest or rent a traditional rowboat to explore the lake. Bali has some of the best spas in the world and sharing the pampering experience with your partner can be a wonderful way to share an afternoon. Spa Uluwatu at the Intercontinental Bali resort offers a Jacuzzi, steam room, and sauna, or you can both indulge in one of the romantic spa treatments including Balinese massage, flower bath, and even a chocolate body mask. 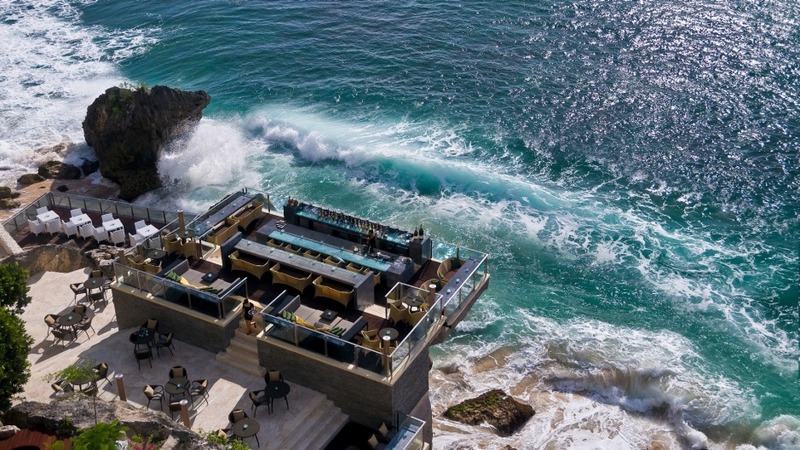 The iconic Rock Bar set into the Jimbaran cliffs offers a dramatic view of the Indian Ocean and an atmospheric location to linger over cocktails to music played by international DJs from a booth carved directly into the cliff. There are many wonderful restaurants in Bali but for a truly intimate dining experience in nature, pack up a picnic and head to Bukit Asah Bugbug on Bali’s Northeast coast. 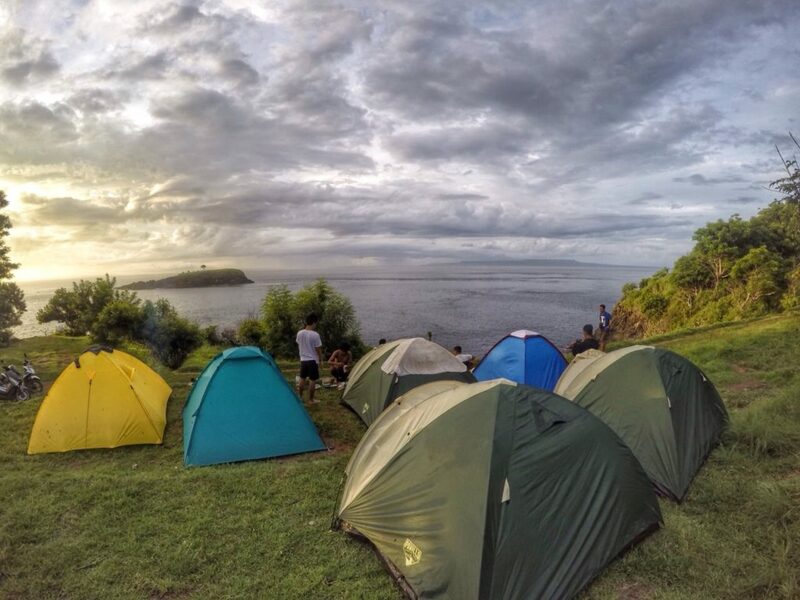 Sunrise is the best time of day to enjoy the stunning views from this spot, or you can even rent a tent and camp out at night under the stars. “Pre-wedding” photos are a common couples photoshoot that most Balinese couples invest in to capture memories together before marriage. There are many photo studios all over the island specialising in pre-wedding photography, and the packages usually include rental of traditional clothing, fun props like a vintage Vespa, and a choice of unique backdrop locations such as ornate temples, lush green rice fields, or stunning waterfalls. 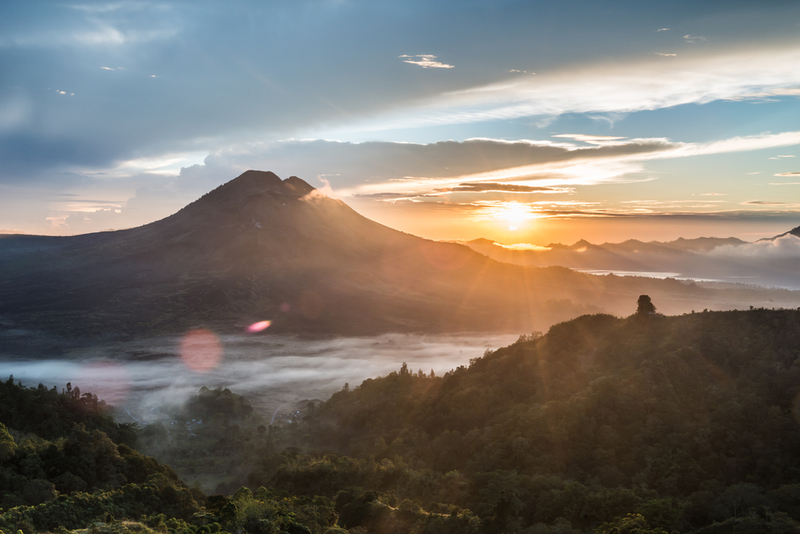 Bali’s Mount Batur is an active volcano that last erupted in 2000 and offers stunning views of Lake Batur and other peaks, including Mount Agung. Sunrise is the best time to do this easy hike and you’ll be rewarded with unforgettable vistas and a freshly cooked breakfast at the summit. 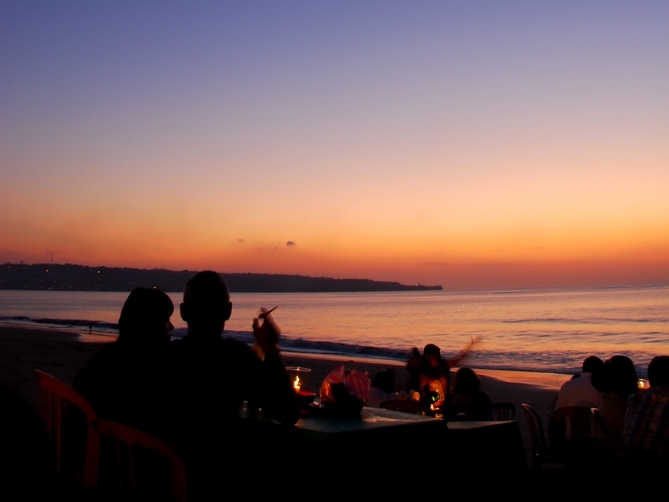 Jimbaran Beach on Bali’s southwest coast is in the ideal location to watch the sun go down and is transformed at night into an outdoor restaurant, as dozens of small seafood restaurants set out candlelit tables on the sand. Afternoon tea has become very popular in recent years in Bali and you’re spoiled for choice when it comes to deciding where to enjoy an intimate pot of tea and cakes. Biku in Petitenget offers just the right combination of sophistication and quirkiness (there’s even a tarot reader!) and is housed in a 150-year old Javanese wooden Joglo. 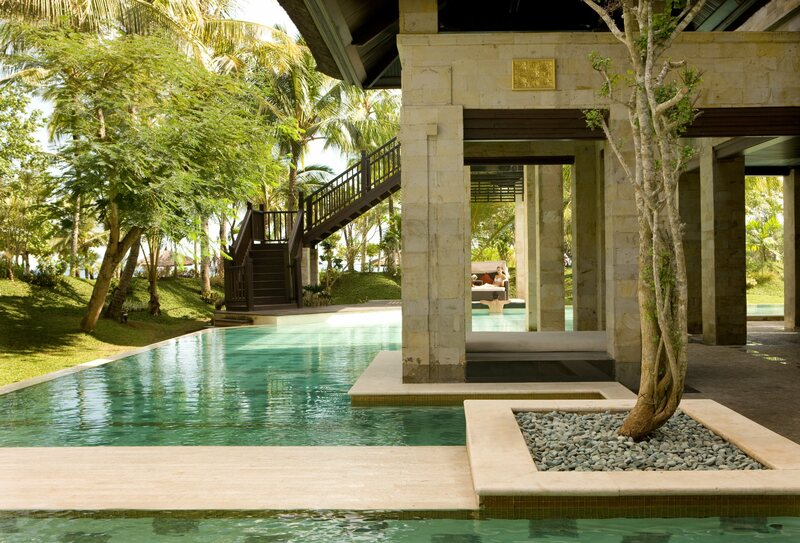 For a truly romantic couple’s getaway, staying in a private villa is a must. The villas at The InterContinental Bali Resort are sumptuously decorated and include Jacuzzi bathtubs, private pools, and butler service. Taking a romantic snapshot in one of Bali’s most Instagram-worthy locations is a must to remember your holiday. Puncak Danau Buyan Wanagiri in Bedugul offers several stunning backdrops for your snaps including a giant bird’s nest and a swing for two hanging over the treetops surrounding lake Buyan. Skip this one if you’re afraid of heights! Where Will Your Romantic Bali Holiday Take You? This is just a selection of some of the couples’ activities and attractions that Bali has to offer. With beautiful beaches, postcard-perfect scenery, and world-class dining on offer, there really is something for everyone.